Happy Friday loves! 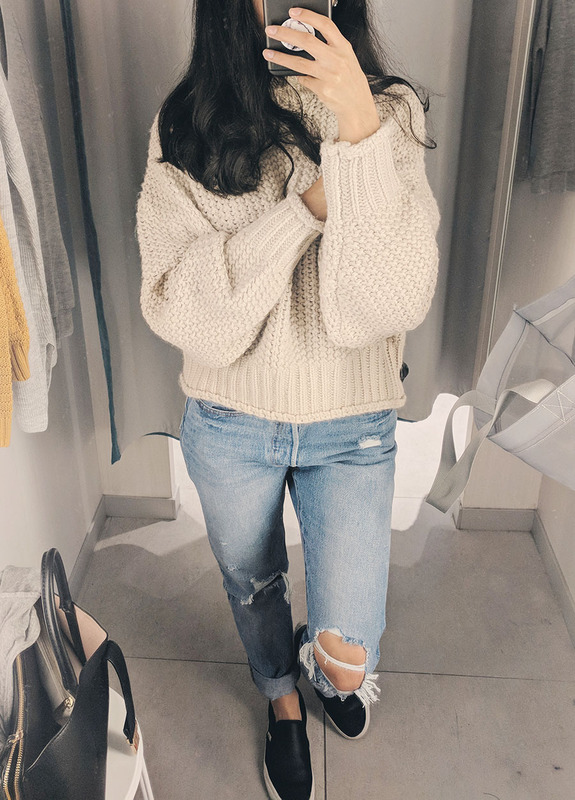 Today I have a fitting room diaries post for you all. 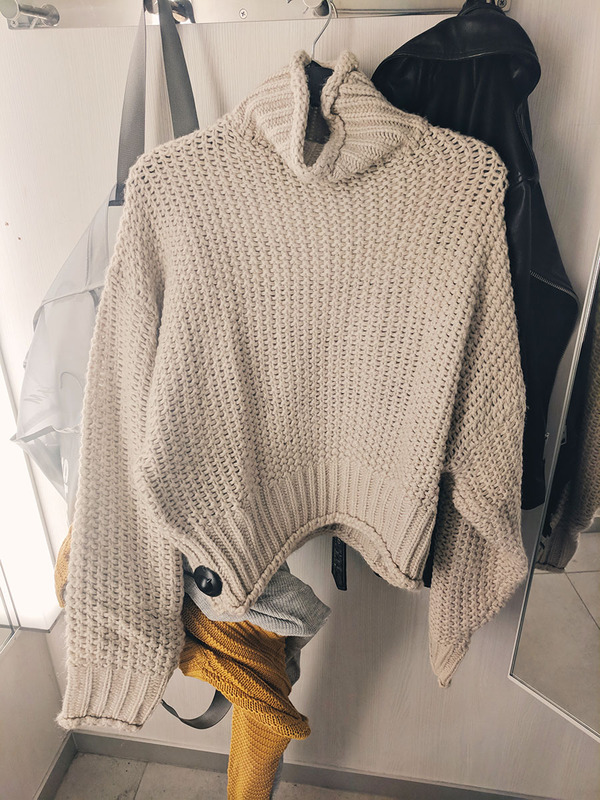 Last Thursday when I was shopping at H&M I took some photos of everything I tried on. I do this all the time because it helps me make up my mind when shopping. I'll also take photos of the tags so that way I can buy it later online if I decide I really love it. 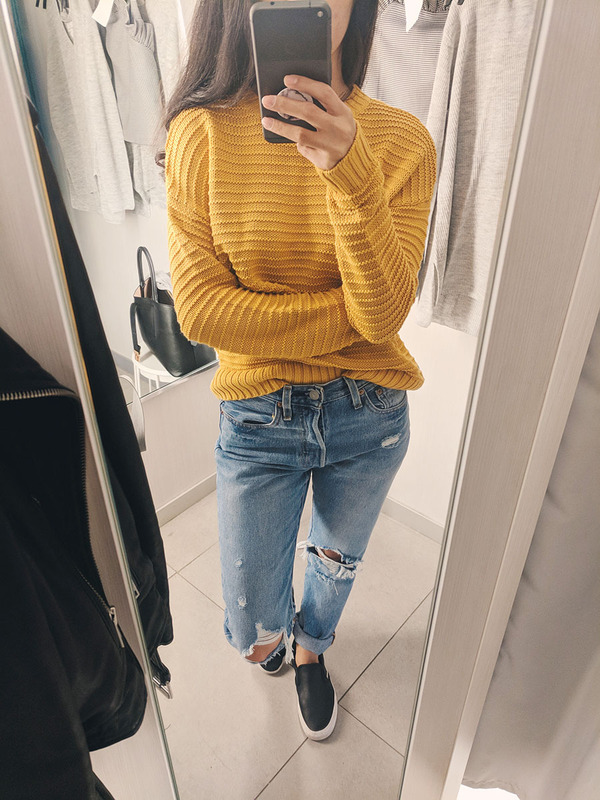 I wanted to make this into an entire post because I found some really nice sweaters! And I always love seeing what a piece of clothing looks like on a person versus the hanger/website models. This sweater is the first item I put in my shopping bag. It looked so cozy on the hanger that I couldn't resist trying it on. 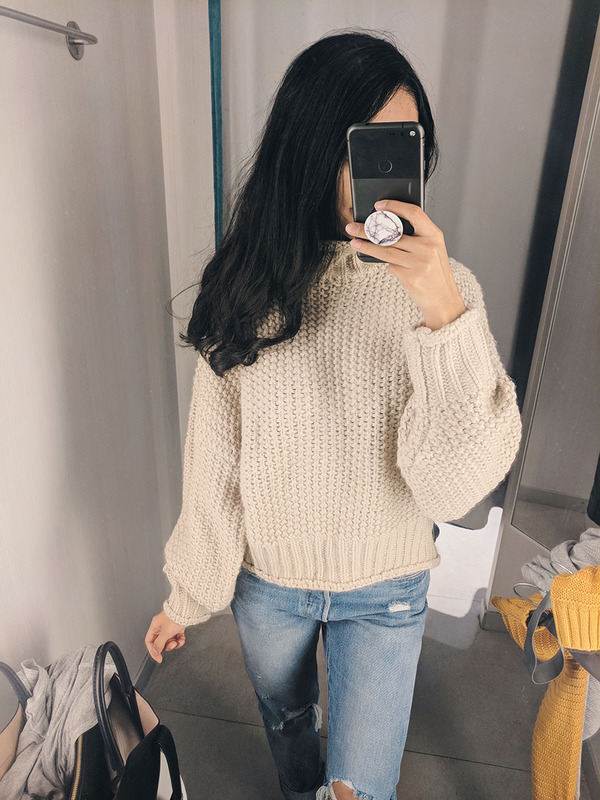 It's a chunky knit material and I think it looks more expensive than it was ($20!). It ended up being the only item I bought. I couldn't find this color online but you can probably find it in store. If you love chunky knit sweaters then do yourself a favor and go pick this up! The fabric on this sweater is so beautiful and drapes perfectly! I love how it looks tucked in and the little details down the front make it a little more interesting. Trying on some color instead of my usual grey haha. The color is so pretty for fall but I'm not so sure that it looks good on me. 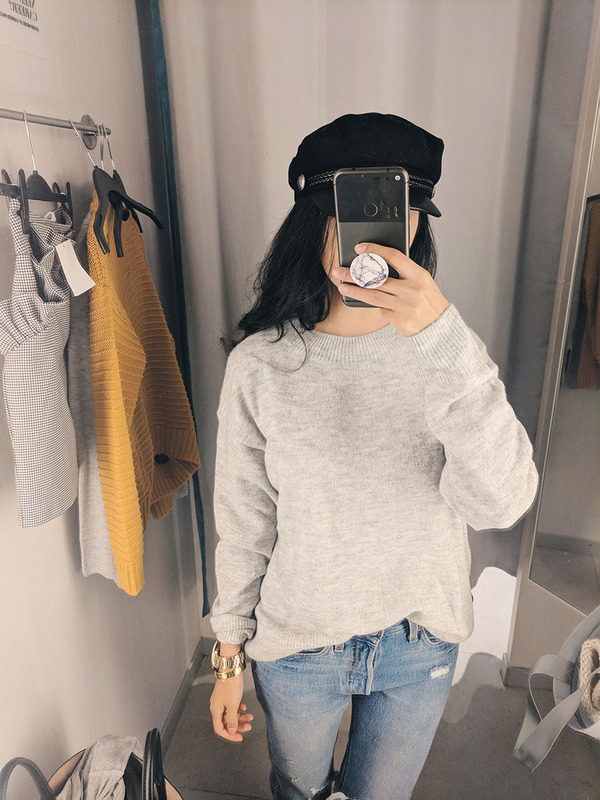 Another grey sweater. 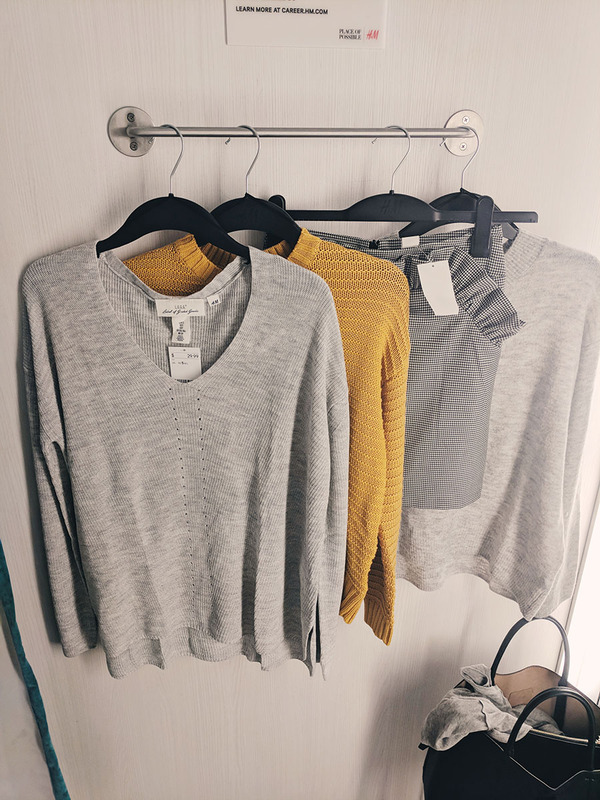 What can I say I'm just drawn to anything grey and cozy. 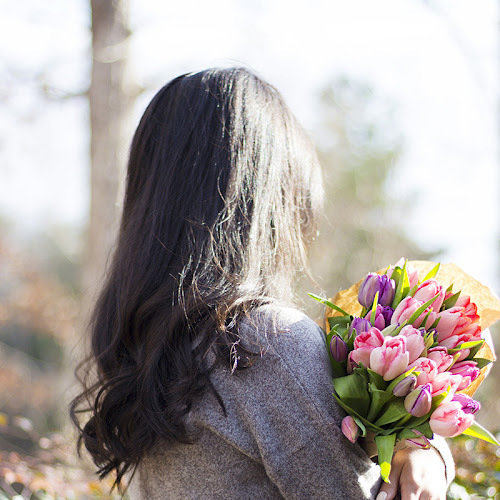 This one is a closet staple! 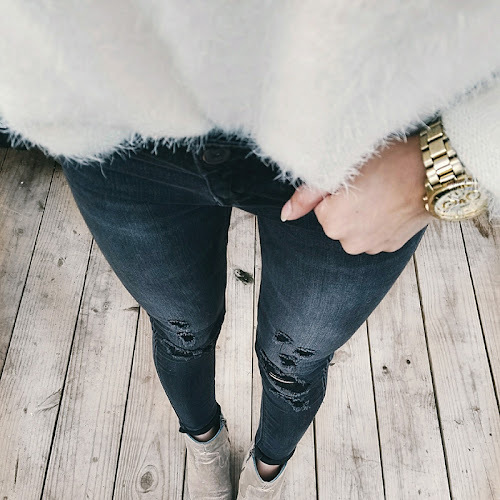 The shape is really classic and will be a great layering piece. 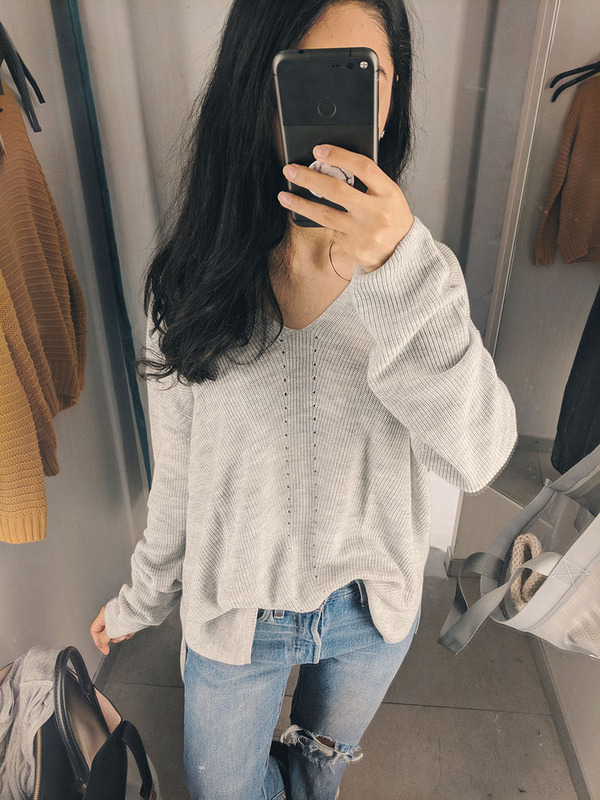 I didn't buy it because I told myself I didn't need anooother grey sweater but now I'm wishing I would've! When I saw this hanging on the rack I knew I had to try it on. It's one of those pieces that look super chic and stylish but not something I would normally buy. I absolutely loved it on but I couldn't think of enough ways to style it to justify purchasing it. 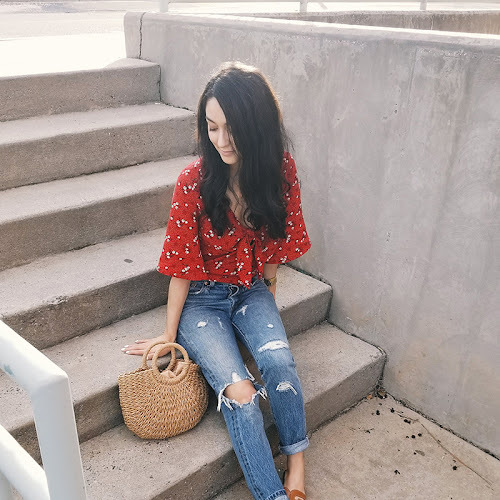 If you have any ideas on how you would style it let me know! Lovely sweaters! My fave is the mustard yellow. Really perfect fall color.